For over 10 years, Towing Salinas has been providing superior flat tire assistance to customers in the Salinas, CA area. We are number one in the industry, because we keep a simple strategy. ​We only employ the best trained and highly skilled workers available. We are a service-oriented and diversified towing and auto locksmith company. With our quick flat tire assistance, our team provides on-site maintenance regardless of your location. We are true professionals in what we do, and we guarantee our tire fixes are sure to hold! Our crew is devoted to providing our customers with personalized services and guidance in a wide range of flat tire requests. ​The expertise of our staff ranges from basic repair to more in-depth custom tire fixing jobs. We service customers that demand reliability and consistency. Our business is well-equipped for to fix tires by all manufacturers. We have the ability to handle virtually any type of application. We are committed to delivering quality workmanship on every project, no matter how big or small. Our outstanding custom care is what sets us apart from other towing businesses in the Salinas, CA area. When you have a flat tire, we invite you to contact us and see how we can meet your needs for tire repairs. ​We have the technical skills to handle any flat tire project. Our staff has the attention to detail needed to guarantee your satisfaction. If you want accurate work done to your tires, get in touch with us. Our high-standard principles are brought to every job we handle. From flat tires to heavy equipment transportation, we offer mobile flat tire, towing, and auto locksmith services that save you time and money. 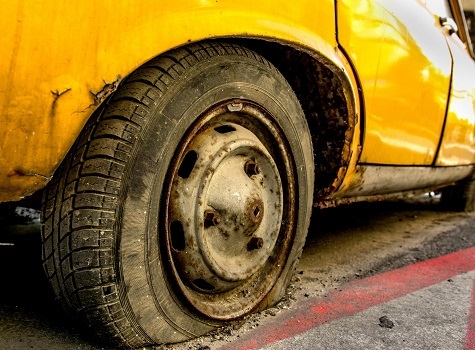 We work with a variety of materials, so we invite you to bring your flat tire job to us for remarkable results. No other shop has the experience and knowledge to match our capabilities. Our towing in Salinas, Ca is steadfast in providing excellent tire repairs. Our growth and success is based on the tremendous work of our staff and their devotion in satisfying our customers’ needs. We know that good service is hard to come by. This is why our technicians go the extra mile in taking care of your vehicle tires. As a result, we have become the preeminent company for flat tire repairs in Salinas, CA. Over the years, we have successfully fixed hundreds of flat tires. Our intention is to become your one-stop business for all your towing, auto locking, or vehicle problems. Customers are surprised at our low prices for the quality of work we provide. Our team members are reliable and always complete jobs in a timely manner. If you need flat tire assistance, ask for our Salinas towing.